Huddersfield based tailor, Owen Scott, have announced they will be stocking UFC Champion, Conor McGregor’s controversial suit with the phrase “F*** You” woven into the pinstripe. The Irish fighter wore the suit – which is made from cloth designed and manufactured in Huddersfield - when he confronted opponent Floyd Mayweather at a press conference before their much-anticipated fight which takes place on Saturday 26th August in Las Vegas. 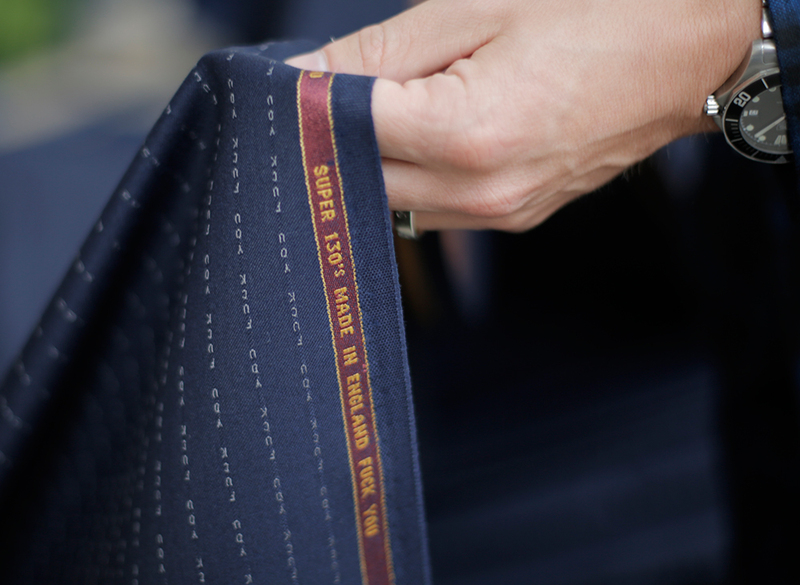 Owen Scott have been given the UK rights to the cloth by the manufacturer, Huddersfield Fine Worsteds (HFW), and will be stocking suits and accessories made from the cloth. Off the rack suits will cost £795 for a two piece or £995 for a three piece, while bespoke suits will start from £2,000. Accessories, including ties and handkerchiefs, will also be available.